International Luxury Travel Market (ILTM) is the leading annual business to business event for the global luxury travel community that encompasses the whole world of luxury travel; giving luxury travel buyers everything they need to create the total travel experiences their clients are now demanding; new and unique adventures, ultra-luxurious accommodation, elite transportation and the most sought after destinations. With 1100+ professional luxury travel buyers and 1200+ professional luxury travel suppliers ILTM provides the biggest offering at the highest standard. 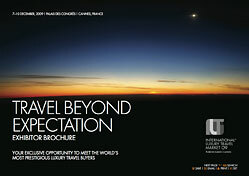 ILTM only confirms the most prestigious luxury travel providers as exhibitors via its strict qualification process. ILTM offers exceptional opportunities for the world’s most inspiring destinations, ultra-luxurious accommodation, life-enriching travel experiences and elite transportation to showcase their products and services to the most prestigious luxury travel buyer. Airline and Private Jet, Private Game Reserve Safaris, Arctic & Antarctic Adventures, Private Island, Beach Resort, Private Villas, Boutique Hotel, Rail Journeys, Casino, Serviced Apartments, Cruise Line, Shopping Experience, Cultural and Unique Attraction, Ski Resort, Gastronomic Experiences, Soft & Extreme Adventure, Golf Resorts, Spa and Wellbeing, Helicopter, Space Travel, Individual Luxury Hotel, Tourism Board, Limousine Service/Car Rental, VIP Inbound Tour Operator/DMC, Luxury Hotel Group, Yacht Charter and Sailing Holidays, Meeting Venue. 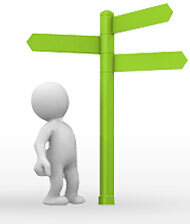 All ILTM VIP Buyers are hand-picked and personally invited to attend the event. ILTM provides these VIP luxury travel Buyers with the chance to do business in an exclusive, private club environment that’s conducive to deals being signed and business being done. All VIP Buyers attend at ILTM’s invitation. In return they are obliged to attend up to 41 Pre-Scheduled Appointments with the exhibitors and exhibitors can confirm an additional 11 Online Diary appointments by contacting VIP Buyers directly. This is complemented by a range of formal and informal networking opportunities designed to increase your sales opportunities. If you would like to express an interest in attending ILTM 2010 as a VIP Buyer or for any further information about the VIP Buyer programme please forward your request to the VIP Buyer Team and read Terms & Conditions. All exhibitors will undergo a strict qualification process to determine if they are leading luxury travel suppliers, before being approved for a set of appointments. This is solely at the discretion of the ILTM team and the final decision in any disputed cases will be made by the ILTM Exhibition Director. Images: Taken across the full 4 days of the event and showcasing the many show features, this gallery offers you a chance to catch a glimpse of the luxury travel industry as they get down to business.